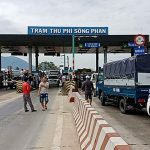 On January 16, the BOT Song Phan charging station (Ham Minh commune, Ham Thuan Nam district, Binh Thuan province) reduced ticket prices for people living near the toll station. 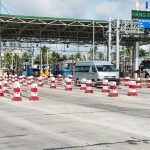 Specifically, the investor will reduce ticket prices for vehicles near BOT Phan River on National Highway 1A, including Ham Cuong, Ham Minh and Nam Tan, Thuan Nam town, Ham Thuan Nam district. 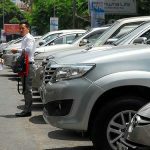 Accordingly, the price for vehicles not trading under 12 seats, trucks under 2 tons is 15,000 VND / time (previously 35,000 VND / pass); Vehicles of 12-30 seats, trucks of 2 tons to under 4 tons is 25,000 VND / time (previously 50,000 VND / time). For business vehicles, other cars with less than 12 seats, trucks under 2 tons, fare is VND 20,000 / trip (previously VND 35,000 / passenger); 12-30 cars, 2 tons to under 4 tons, fare is 30,000 VND / time (formerly 50,000 VND / time). 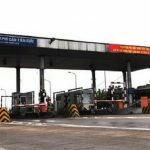 Reducing fares at BOT Phan River is considered a “relaxed” move, to ease the situation of congestion, traffic congestion by people oppose the toll station in recent days. 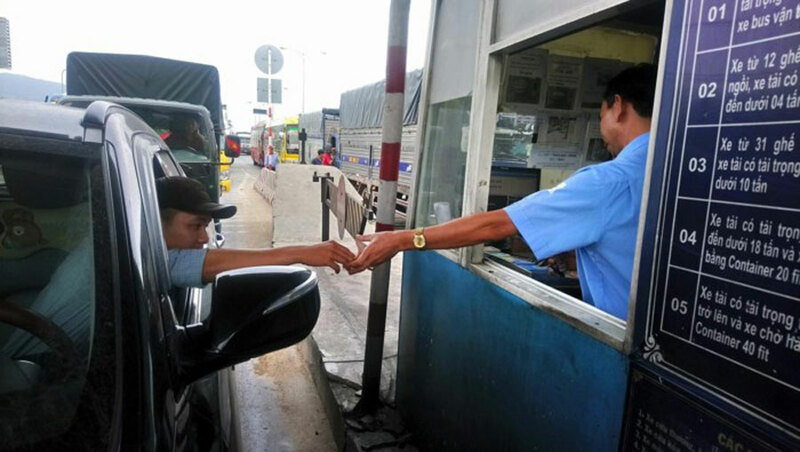 Previously, drivers have repeatedly to the Sông Phan charging station, asking the owner of the toll station to reduce, free ticket. 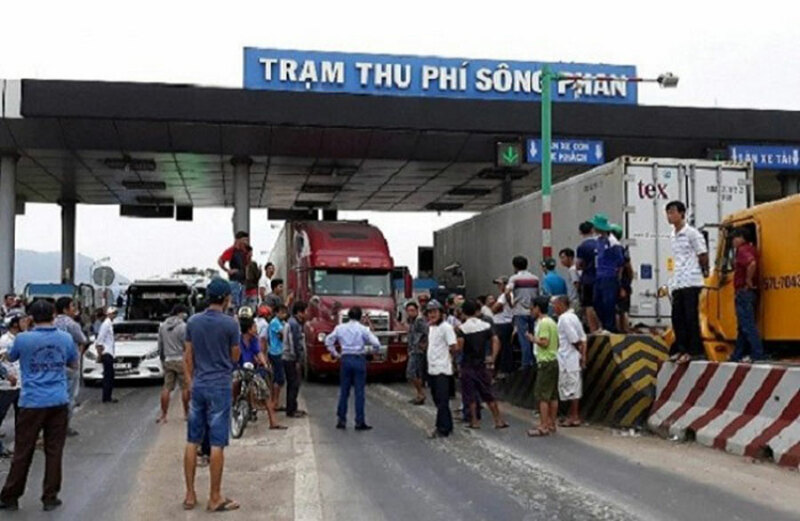 The motorists said that the owner of the BOT Song Bong toll station only agreed to reduce and exempt personal cars and business vehicles of the two adjacent communes toll stations from 40-50%, while the car This is not fair in Thuan Nam Town (Ham Thuan Nam District). Many drivers oppose, resolutely refused to buy tickets through the station because he has paid traffic fees on National Highway 1A should not have to buy tickets from the toll station. On January 10, the Ministry of Transport has approved the discount scheme for the means of the owner is an individual with a permanent residence and enterprise organizations headquarter located neighboring communes, within a radius of 5 km, from the BOT Phan River. Specifically, car owners with registered household registration in Ham Minh and Ham Cuong communes (including Thuan Nam township households not exceeding 5 km from the station) will receive a discounted ticket 50%. For business vehicles based in Ham Minh and Ham Cuong communes, 40% shall be reduced; Separate buses are 100% off. You are reading the article BOT Phan Thiet investor reduced ticket prices for all vehicles near the area in the Real Estate category at https://realestatevietnam.com.vn/. Any information sharing, feedback please contact through Hotline 0909890897 (24/7) or email to info@realestatevietnam.com.vn.